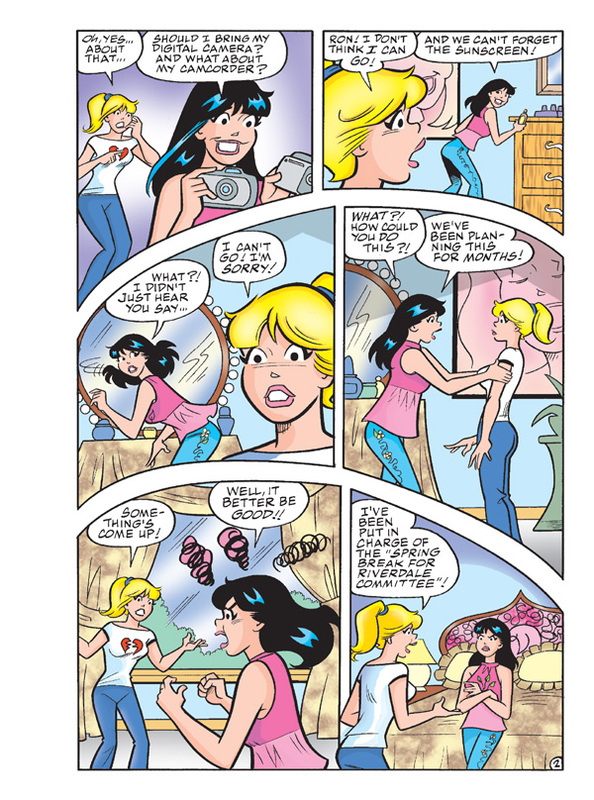 Betty and Veronica just can’t agree who has the more difficult life. 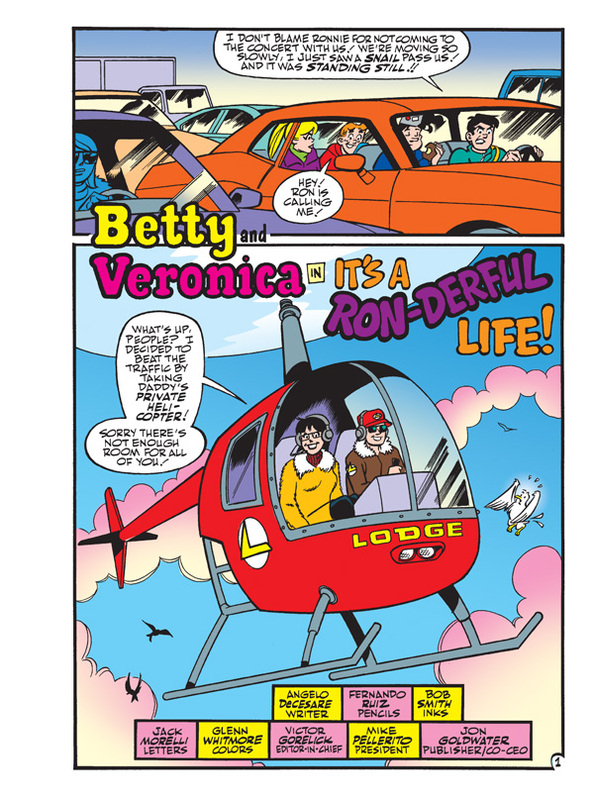 Betty says that her financial status means she has to work extra hard, while Ronnie says that her parents put a lot of pressure on her to measure up to the Lodge family name. There’s only one way to settle this argument: by trading places for a day! 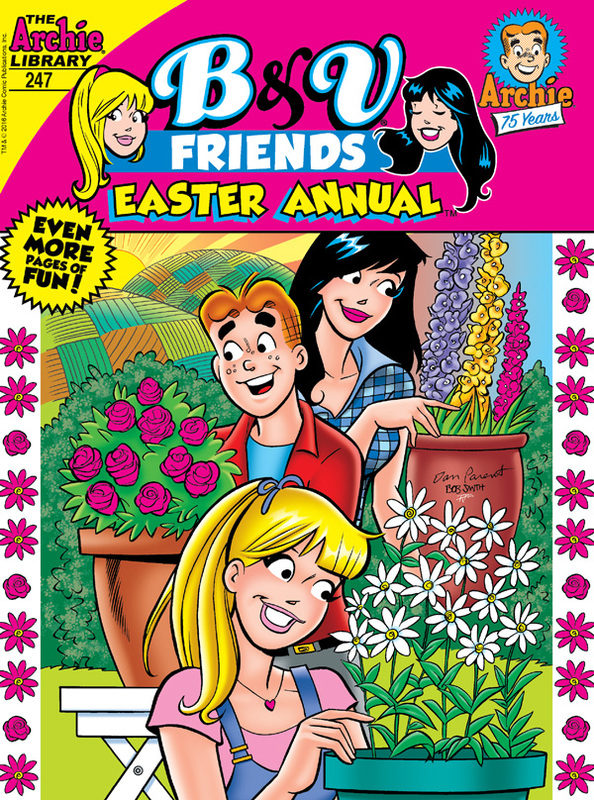 When the girls have to walk in each other’s shoes, what will they learn about their BFF—and themselves? 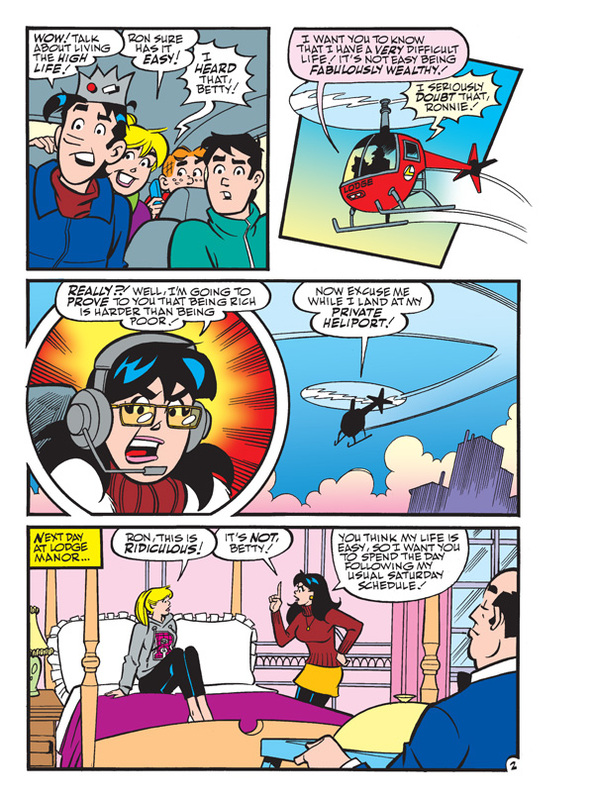 Find out in “It’s a Ron-derful Life,” the brand new lead story to this comics annual featuring even more pages of fun!